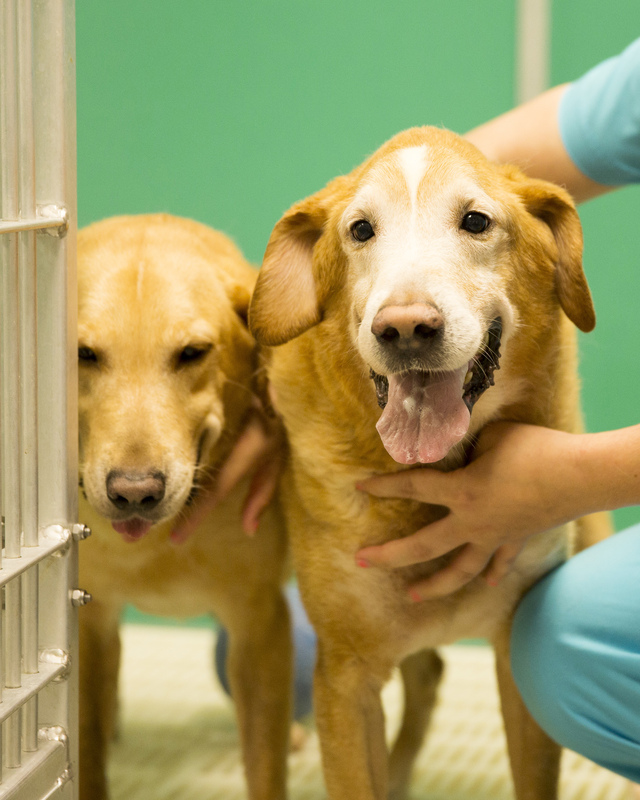 Moose and Jack are on a study to help researchers find effective treatments for Duchenne muscular dystrophy, a debilitating genetic disorder found both in golden retrievers and boys. The dogs’ housing ensures that their social, psychological, and behavioral needs are met. Moose and Jack like to sleep close together, play with their caregiver, and run with other dogs in their outdoor play yard.